Boneset is a perennial herb, with an erect stout, cylindrical hairy stem, 2 to 4 feet high, branched at the top. The leaves are large, opposite, united at the base, lance-shaped, 4 to 8 inches long (the lower ones being the largest), tapering to a sharp point, the edges finely toothed, the veins prominent, the blades rough above, downy and resinous and dotted beneath. The leaves serve to distinguish the species at the first glance - they may be considered either as perforated by the stem, perfoliate (hence the specific name), or as consisting of two opposite leaves joined at the base, the botanical term for which is connate. The flower-heads are terminal and numerous, large and slightly convex, with from ten to twenty white florets, having a bristly pappus, the hairs of which are arranged in a single row. The odour of the plant is slightly aromatic, the taste astringent and strongly bitter. This species shows considerable variety in size, hairiness, form of leaves and inflorescence. It flowers from July to September. Boneset has a faint aroma and a very bitter taste. The use of boneset leaves as well as the plant's flowering tops for therapeutic purpose was first introduced to the early European settlers by the Native Indians in American Indians. They generally used the herb for curing health conditions, such as influenza, colds, catarrh, all types of fevers (counting dengue), rheumatism, typhoid (lake) and even sporadic outbreaks of malaria. In order to cure colds and flu, the remedy prepared with boneset leaves and flowering tops is taken as a hot tea to encourage perspiration as well as alleviate the related aches and soreness. There has been some scientific research which has shown that boneset can be used to treat the common cold, and as a natural treatment for the flu, due to possible stimulation of the immune system. Boneset has anti-inflammatory properties that make it a useful herbal remedy for topical skin irritants. It is also being studied in its ability to aid and subdue skin diseases. Boneset was used by Native Americans (who later taught the colonists) to treat influenza , colds, and other infectious diseases as well as fever, arthritis, and rheumatism. By the eighteenth and nineteenth centuries, European settlers considered boneset to be a cure-all. As a result, boneset was used to treat many different diseases and conditions. It was, perhaps, among the most widely used herbal medicines in the United States. Dried boneset was kept on hand by families, as well as doctors, for immediate use, especially during the flu season. When taken in reasonable measures, boneset is considered to be a gentle stimulant, in addition to being a diaphoretic (an agent that encourages sweating), particularly when it is taken in the form of a warm infusion. Warm boneset infusion is also taken to cure muscular spasms in rheumatic attacks. When taken in larger doses, boneset infusion can act as an emetic (causes vomiting ) and purgative (causes evacuation of the bowels). Boneset infusion is drunk cold, in moderate doses (one-fourth cup), to act as a tonic to treat indigestion and general debility. 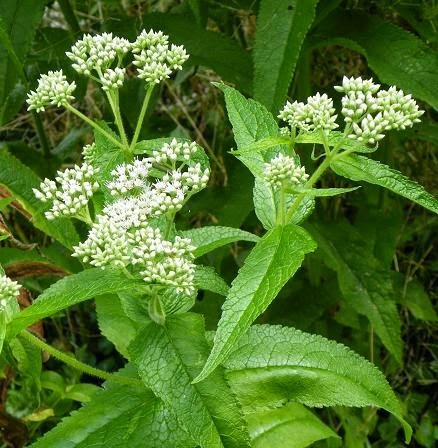 Boneset is an effective medication for treating catarrh (inflammation of the mucus membrane, particularly of the respiratory tract), especially when one is suffering from influenza. Boneset may be taken in combination with cayenne, elder flowers, ginger, lemon balm, peppermint , or yarrow to treat influenza. 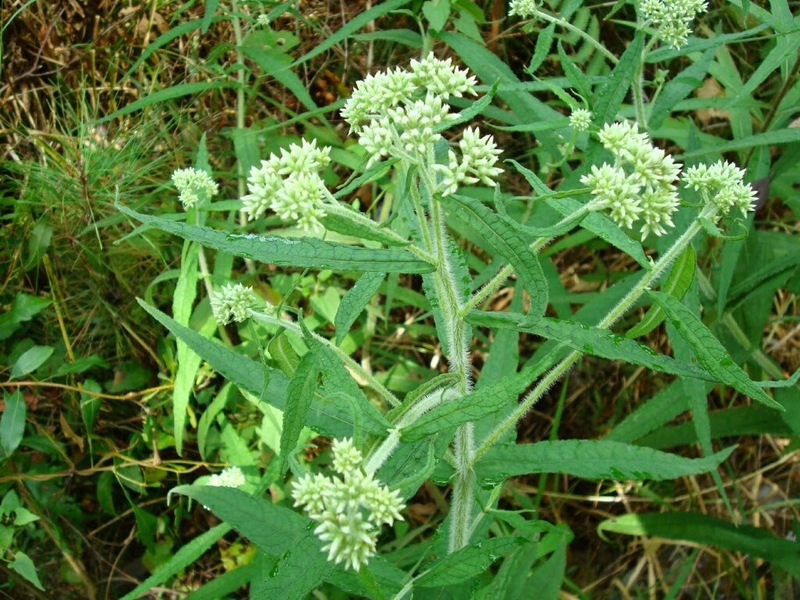 For bronchial conditions, boneset may be taken with pleurisy root and elecampane. Pregnancy and breast-feeding: Because boneset may contain liver-damaging chemicals called pyrrolizidine alkaloids, it is considered unsafe. Don’t use it if you are pregnant or breast-feeding. Allergy to ragweed and related plants: Boneset may cause an allergic reaction in people who are sensitive to plants in the Asteraceae/Compositae family. Members of this family include ragweed, chrysanthemums, marigolds, daisies, and many others.